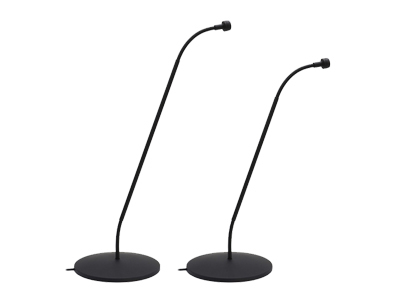 The Earthworks CTF Tabletop Gooseneck Microphone is the perfect choice for high quality teleconferencing applications. It is a low profile, pristine sounding microphone solution for any conferencing or speech application that does not require permanent installation. 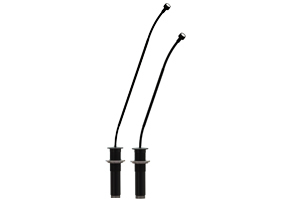 The low profile base measures just 4.1 inches in diameter and comes with a 10 ft cable with XLR-3M attached, which is designed to exit from the side or bottom of the microphone base. The Earthworks IMR models feature a rigid center gooseneck with flex on both ends to provide a more streamlined look for tabletop installations. The Earthworks IMLR models feature a rigid center gooseneck with flex on both ends to provide a more streamlined look for tabletop installations. 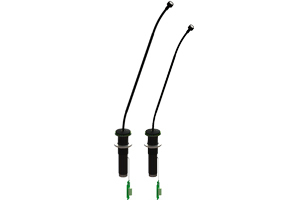 IMLR models come with touch sensitive surface, and dual-color (red & green) LED light ring, providing integrators complete freedom to assign function and LED color with a media control system.